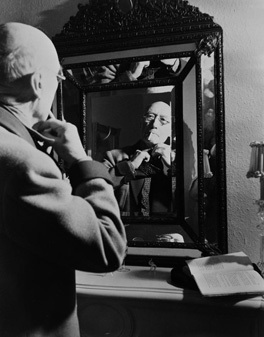 Andr� Paul Guillaume Gide was a French author and winner of the Nobel Prize in literature in 1947. Gide's career ranged from its beginnings in the symbolist movement, to the advent of anticolonialism between the two World Wars. Known for his fiction as well as his autobiographical works, Gide exposes to public view the conflict and eventual reconciliation between the two sides of his personality, split apart by a strait-laced education and a narrow social moralism. Gide's work can be seen as an investigation of freedom and empowerment in the face of moralistic and puritan constraints, and gravitates around his continuous effort to achieve intellectual honesty. His self-exploratory texts reflect his search of how to be fully oneself, even to the point of owning one's sexual nature, without at the same time betraying one's values. His political activity is informed by the same ethos, as suggested by his repudiation of communism after his 1936 voyage to the USSR.